I won’t lie, I was highly skeptical about this book. I’ve heard a lot of good things about David Levithan and his writing…but I’d also only read Naomi & Ely’s No Kiss List before this one! And it’s safe to say that I didn’t particularly enjoy Naomi & Ely – it’s actually one of the only books I preferred as a movie. 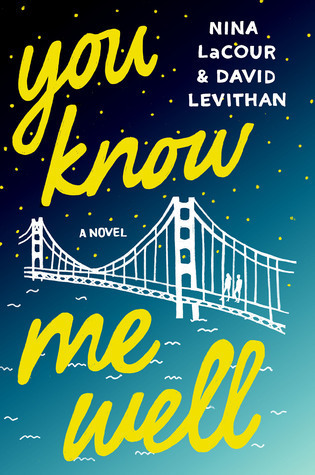 But I still picked up this book cheap as I liked the synopsis and knew I needed to give David Levithan a second chance. Let’s start by saying I’m really glad I did! You can be naked with someone and remain unknowable. I loved the characters in this book. They made so many mistakes, it was basically awesome. They showed a lot of things through our eyes – teenagers who are deciding how they’ll be living their life after college but not really sure about anything. That includes love. They were mixed up and emotional, wild and free. They were perfect. You can be someone’s secret without ever knowing what the full secret is. I liked a lot of other things about this book, too. I found the plot and time scale (a week) easy to read and enjoyable. It made for a quick but very full 200 pages, which seemed to fly by at the same time as being a big story! You can know he’s even more scared than you are, but that doesn’t make you any less scared yourself. I also enjoyed the setting and the ending! A small part of me wishes the ending was different, but at the same time I understand and accept why it ended like it did. And I’m kind of happy, too. It needed to end the way it did to show the full extent of the characters. Because even if the ending wasn’t 100% fairytale – it was real..and that makes me smile. Random: A Very Bookish Christmas!